Rogue One: A Star Wars Story was a hit at the box office last year, while Disney and Lucasfilm’s second Star Wars spinoff revolving around Han Solo will follow next May and looks set to be another huge success for the studio. What’s coming in 2020 remains to be seen, but there’s one movie in particular that the vast majority of fans would love to see become a reality. That’s an Obi-Wan Kenobi film starring Ewan McGregor, and while there’s been talk of it happening for years now, it still hasn’t been officially announced. In a recent interview, however, the Fargo star weighed in on the possibility of taking on a lead role in a Star Wars spinoff, saying that he’d be happy to do it. Fans want it, McGregor wants it, and it’s a movie which could easily be a huge hit, so it’s pretty obvious that this needs to happen Star Wars Rebels has briefly explored what Obi-Wan was up to in the years between Revenge of the Sith and A New Hope, but there are still years worth of stories there which could easily be told on the big screen, and would make for a fantastic film. Boba Fett has been rumoured as being the 2020 movie on a few occasions now, so we could be waiting another five years until Obi-Wan gets to take centre stage. While that’s a shame, it’s important to remember that the older McGregor gets, the better suited he’ll be for the role, so it’s not like there’s any sort of rush for this particular Star Wars spinoff to happen, right? 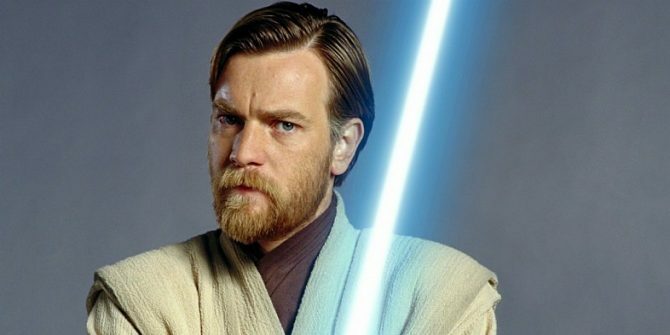 Tell us, what are your thoughts on a possible Obi-Wan film? Is it something you’d like to see? Let us know by sounding off in the usual place!